Shopping used to be such a big task years ago. Whether, it was shopping for groceries, vegetables, clothes, household items or anything, it would consume whole of the Sunday. We braved the heat and the bitter cold, stood by the parents, walked with them past the unruly vehicles while they hopped from shop to shop comparing the prices. I admit this process made me develop a perennial dislike for shopping. The other day, I was discussing with my father how shopping has become easier in the present times. There is no need to rush out in the city traffic (which has become humongous compared to olden days), burn the fuel and our energy. Just open the app on the phone or the website on the laptop and finish off the shopping in a matter of few minutes. Last week, Dhruv participated in a dance programme organised for the Republic Day function in our apartment. The costume requirement for the programme was a white full sleeved cotton shirt, blue jeans and black shoes. While blue jeans and black shoes were readily available at home, it was the white shirt which gave me quite a hard deal. The other moms were also finding it difficult to arrange the same and amongst us we divided the nearby markets for our search expedition. To our dismay, it wasn’t available anywhere. With just 2 days to go until 26th Jan and my anxiety reaching high levels, out of the blue, Dhruv suggested why don’t I check Amazon. And guess what, my problem got solved. I got a good quality Giny and Jony shirt, at a discounted price, delivered the next morning. Online shopping proved to be a boon, isn’t it? Amazon – The search stops here. Be it books or buying birthday gifts for Dhruv’s friends or stationery or art & craft supplies, everything is available on Amazon at the lowest prices. Jabong – Jabong takes care of all my clothing needs. Without Jabong, I would have been still dependent on my annual Delhi trips to get my supply of salwar suits under my mother’s supervision. Trying out sizes within the comfort of my home, without the terror of see through mirrors of the trial rooms, and easy returns makes Jabong my favourite. Hopscotch – Hopscotch is the site I have recently discovered and which I trust for Dhruv’s clothing. This site has clothes with attractive designs and reasonable prices. Big basket – I prefer buying organic fruits and vegetables and these are not available nearby my house, thus Big Basket. A proactive customer support ensures any grievances are handled on priority and to the customer’s satisfaction. Grofers – I am a huge fan of Patanjali products and Grofers is one such place which brings most of the Patanjali items at the customer’s doorstep. 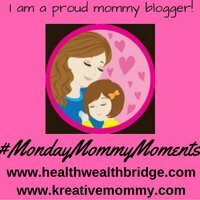 I am joining Deepa and Amrita this week with their #Mondaymommymoments prompt about Top 5 online shopping websites for moms. Amazon and hopscotch are my faves too.Online shopping foes make life easier.Thanks for sharing your favourites with us on #MondayMommyMoments. I love Amazon Prime. I use it for most of my shopping! Never got a chance to try the last three ! But ya love amazon for its prime delivery option & Jabong for the variety they offer in clothing. We concur on Amazon and Grofers. I am very very fickle when it comes to online shopping and keep trying out new sites. it’s such fun and so so addictive. I’m finding I order more and more through Amazon these days, rather than running out to the local “big box” stores (like Walmart and Target). Still haven’t tried having groceries delivered, as we don’t have a service like that nearby, but I’d love to some day. Great list! Amazon is my go-to site for books too! I also have a couple of favorite sites for my artsy and craftsy supplies. Online shopping is such a boon, isn’t it? I’m not much of an online shopper. Amazon is definitely a go to for buying books though. I’ll get stuff from Amazon as a last resort, but my instinct is still to drive to the store. There’s something about being able to pick up the product and hold it that I miss when I just order online. Still, when something isn’t in at the store, I have no qualms ordering it from Amazon and being done with it. Online shopping has made life so easy. I still live going to shops but not during hot summers… I like eBay as well and sometimes do shopping from Aliexpress , but the waiting period is too long. Online shopping has truly made our world a lot easier and happier too. Amazon is my absolute favourite. I shop frequently from Godrej’s Nature Basket, Snapdeal and Flipkart too. Amazon , Flipkart and jabong are the amazing shopping sites. I like your shopping choices, I add Snapdeal to this, it delivers fast too and good choices. Congratulations for BAR featured blogger. Amazon seems to be topping the charts.. It’s on everyone’s list….wish we get some discounts by them measuring our LOVE 😉 happy to know your favs…. Believe it or not, I’ve only taken to online shopping twice: for two consecutive years, I bought the specific wishes of the people whose names I drew as I was to be their Secret Santa. They gave specific links so I bought from those. Haha…the Secret Santa got her job made easy. If you aren’t yet hooked onto online shopping then you may completely choose to avoid it because after a point it becomes an addiction. Takes a lot of self control. I have no idea about the last three sites. Amazon is good. I use it often for my family back home. In the US, no one can beat it. Will try the others on your recommendation. Also, next day delivery is a savior. All of the sites that you mentioned are best in their category. Amazon and Hopscotch are my personal favorites. yea i agree it’s between amazon and shoparare.com. only because shoparare.com is a new site i like built on variety. bigmamma.in is also one of the best online grocery store in Noida, Delhi & Gurgaon, here you can order fruit & veg boxes and dairy products online with monthly subscription @rs.99 only/- please check below link..